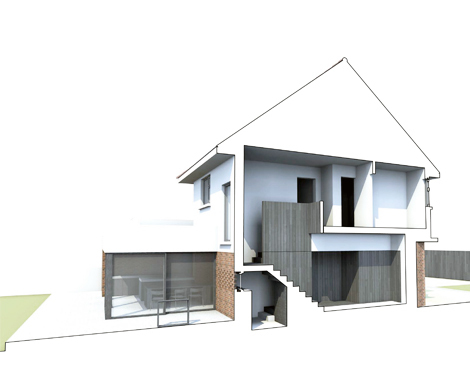 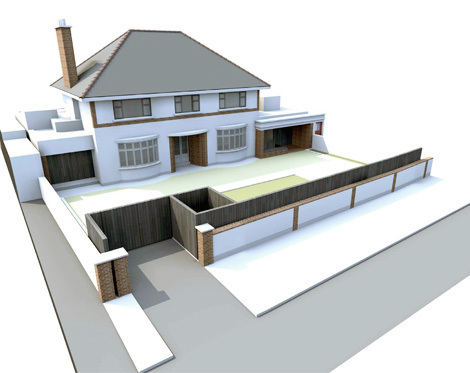 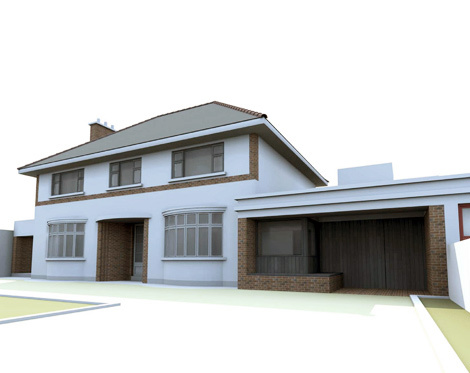 The existing double fronted, 1930’s house is extended to the rear with the addition of two single storey wings that frame a south facing terrace area that in turn leads onto the rear garden. 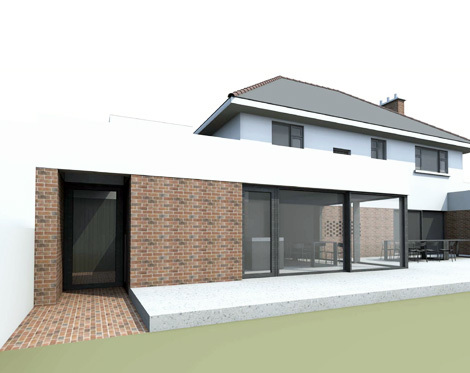 To the south west guest accommodation is formed while to the north west an existing garden room is rebuilt to provide a large, light filled kitchen return and laundry room. 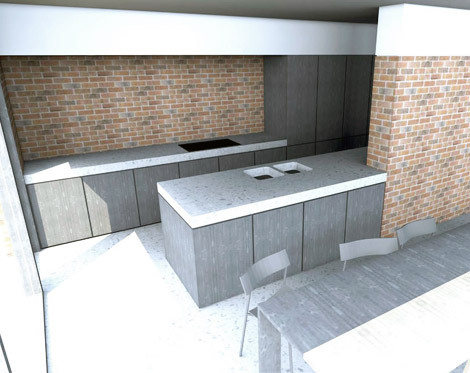 The existing garage becomes a storeroom for bicycles and sports equipment with a new pedestrian entrance or ‘back’ door leading into the kitchen beyond. 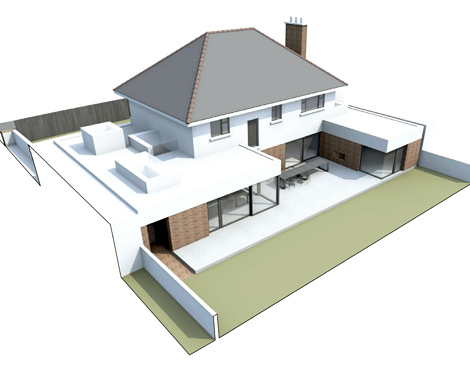 The new up-stand parapet walls and roofs are set in dimension by the existing garage wall and will be cast in a white/grey concrete, forming a legible ring beam along the rear elevation. 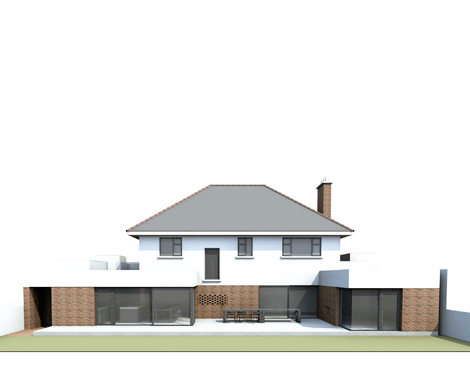 A brick, selected to match the front of the house, is used to form infill walls that articulate the new rooms with the addition of large new glazed screens framed in satin anodised aluminium.